The Advanced Quality and Design Planning Guide is offered as an indicator of our focus on customer satisfaction among engineers and quality personnel. It represents 60 years of experience in terms of “best practices” for the design, release, and use of efficient fabricated products, including those made from materials other than foam. 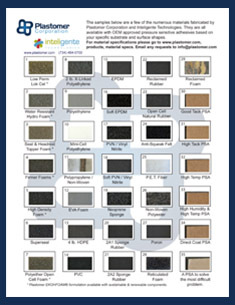 Click on the image of the sample board to view its contents. 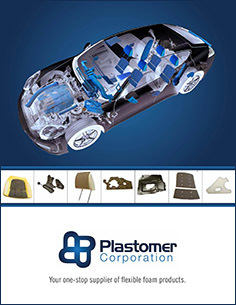 Plastomer offers a design guide to help customer engineers. CLICK HERE to request a hard copy of the guide or a sample board be mailed to you. Click here for Plastomer-Seller Considerations for Potential Buyers.